On this date in 1896, one of the greatest writers of the “Lost Generation” was born. 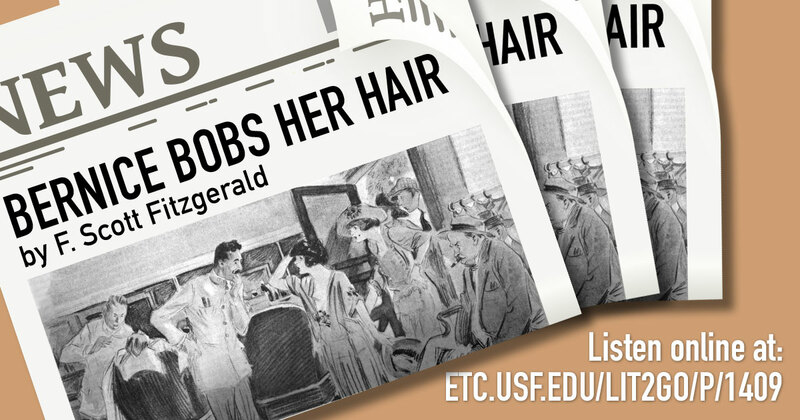 We’ve collected some of his most famous short stories from Flappers and Philosophers and Tales of the Jazz Age. 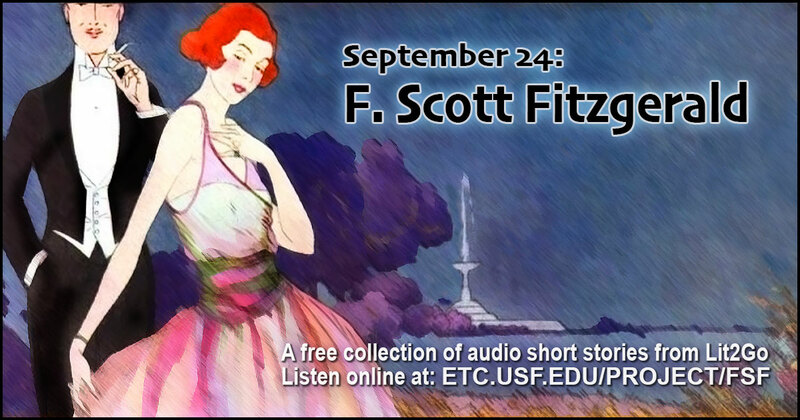 Use this banner on social media to share our collection of Fitzgerald short stories. 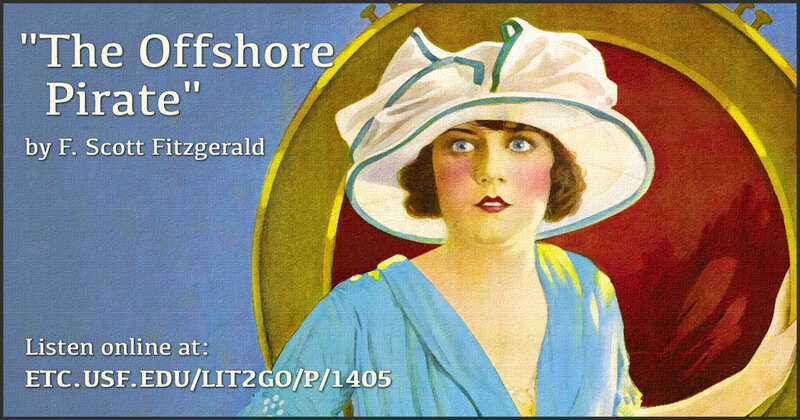 The Offshore Pirate from the Lit2Go audiobook collection. Ardita rebels against her uncle, who wishes her to behave as a respectable lady. He leaves her alone, and the ship is taken by Carlyle and his group of pirates. Things aren’t all as they seem. Duration: 1 hour. Reading level: 6.8. Word count: 12,162. 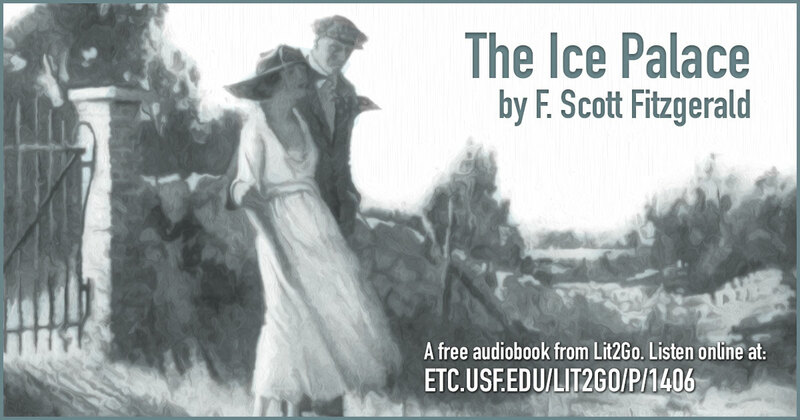 The Ice Palace from the Lit2Go audiobook collection. Sally Carrol thinks that she wants a different life than the one she leads in the South, with a man who isn’t like the boys she grew up with. Her engagement to Henry and her trip North show her what that different life would be like. Duration: 51 minutes. Reading level: 6.8. Word count: 9,658. 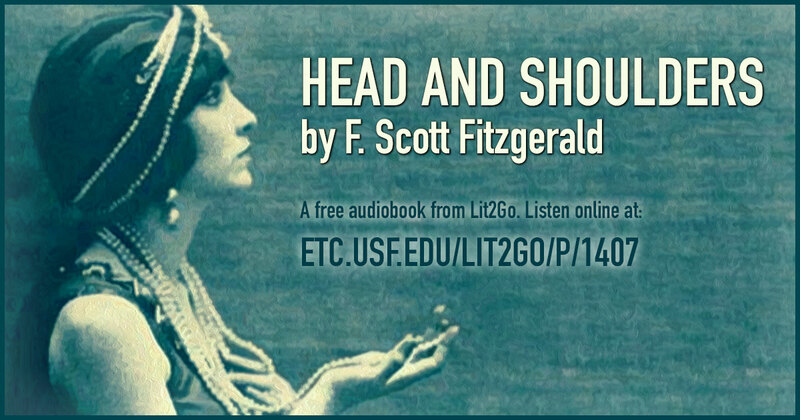 Head and Shoulders from the Lit2Go audiobook collection. Horace Tarbox is known as a prodigy. He sees a plan for his life, until he meets Marcia Meadow. The knock at his door changes all the plans he thought he had. Duration: 49 minutes. Reading level: 6.8. Word count: 9,570. 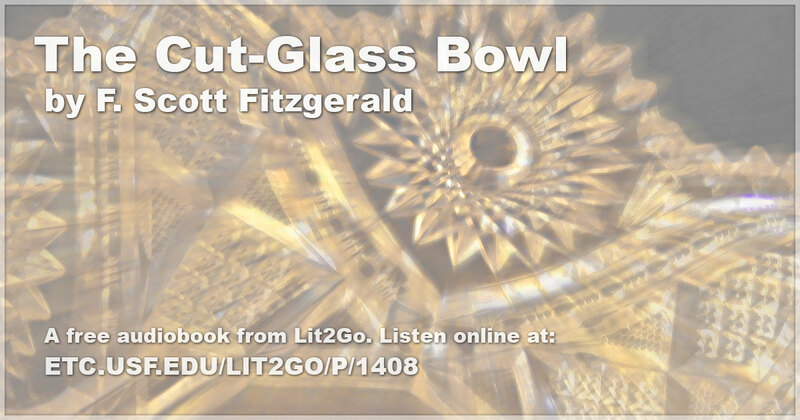 The Cut-Glass Bowl from the Lit2Go audiobook collection. Evylyn and Harold Piper experience many events throughout their marriage, some pleasant and some tragic. Duration: 42 minutes. Reading level: 6.8. Word count: 8,185. Bernice Bobs Her Hair from the Lit2Go audiobook collection. Marjorie’s attempts to improve Bernice’s social skills has unexpected consequences. Duration: 51 minutes. Reading level: 6.8. Word count: 9,822. 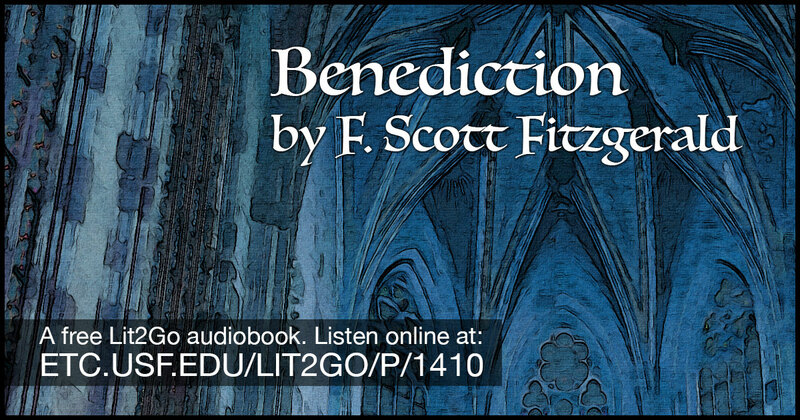 Benediction from the Lit2Go audiobook collection. In the midst of a major life decision, Lois reacquaints herself with her older brother who is training to be a Jesuit priest. Duration: 34 minutes. Reading level: 6.8. Word count: 6,575. 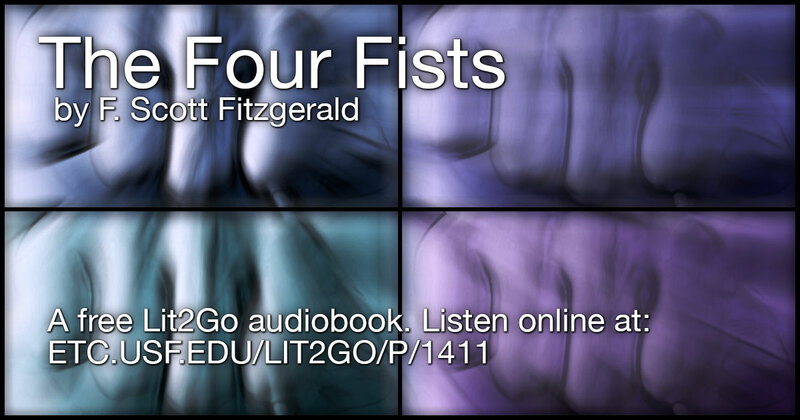 The Four Fists from the Lit2Go audiobook collection. Samuel Meredith recalls some pivotal moments in his life. Duration: 34 minutes. Reading level: 6.8. Word count: 6,492. The Curious Case of Benjamin Button from the Lit2Go audiobook collection. The story is about a child born with the outward appearance of a 70-year-old man who ages in reverse. As he grows older, he appears to be getting younger with each passing year. Duration: 59 minutes. Reading level: 12.0. Word count: 10,069. 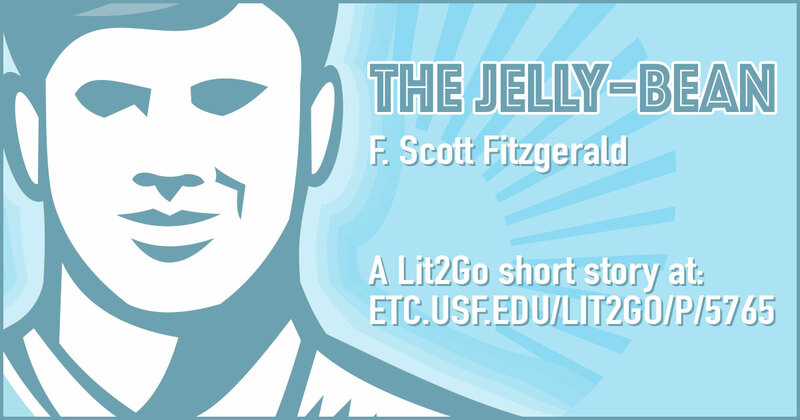 The Jelly-Bean from the Lit2Go audiobook collection. This is a short story following Jim Powell, an excessive gambler and outcast who has given up on polite society, as he trys to impress his new love interst, Nancy Lamar. Duration: 39 minutes. Reading level: 12.0. Word count: 7,509. 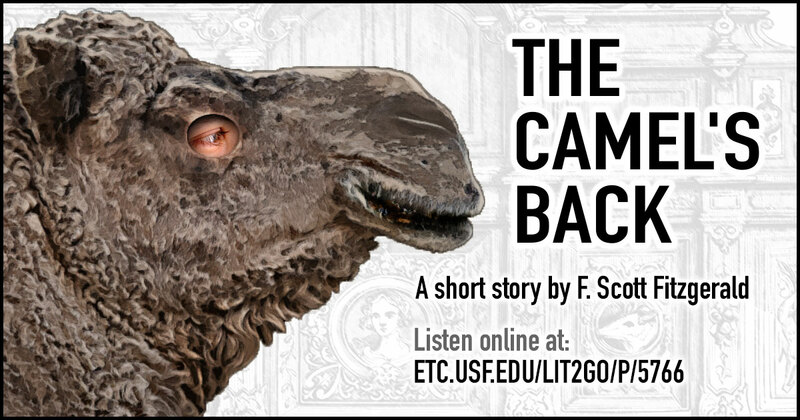 The Camel’s Back from the Lit2Go audiobook collection. A short story about the tale of a man in love, Perry Parkhurst, who presents his girlfriend with an ultimatum: get married or end the relationship forever. After ending the relationship, a heartbroken Parkhurst attends the Citrus Ball in a camel costume, determined to win her back. Duration: 56 minutes. Reading level: 12.0. Word count: 10,232. 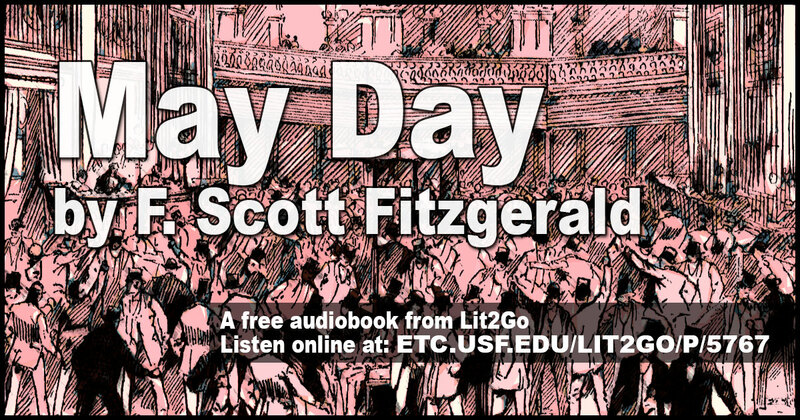 May Day from the Lit2Go audiobook collection. This is a tale that interweaves the stories of the underprivileged and of the wealthy during the May Day riots of 1919. Reading level: 12.0. Chapters: 11. 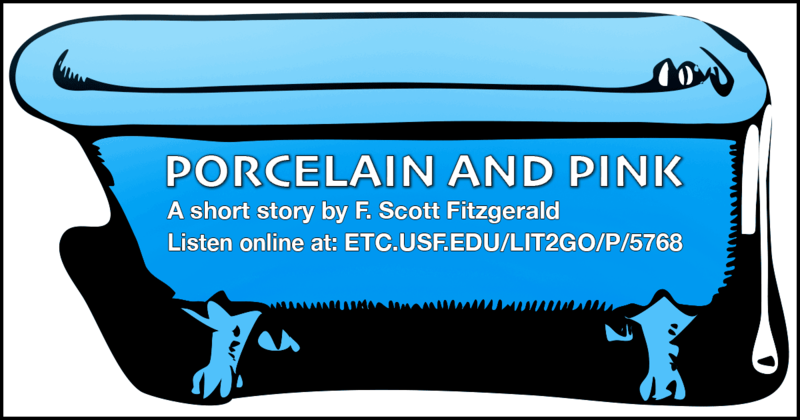 Porcelain and Pink from the Lit2Go audiobook collection. A short story about the mistaken identity of a woman in the bath-tub. Duration: 18 minutes. Reading level: 7.8. Word count: 3,431.
from the Lit2Go audiobook collection. This novella by follows John T. Unger as he visits the home of dorm-mate Percy Washington. When Unger learns of the wealth of his friend and the measures the Washington family will take to protect their fortune, he is faced with an important decision. Reading level: 12.0. Chapters: 11. 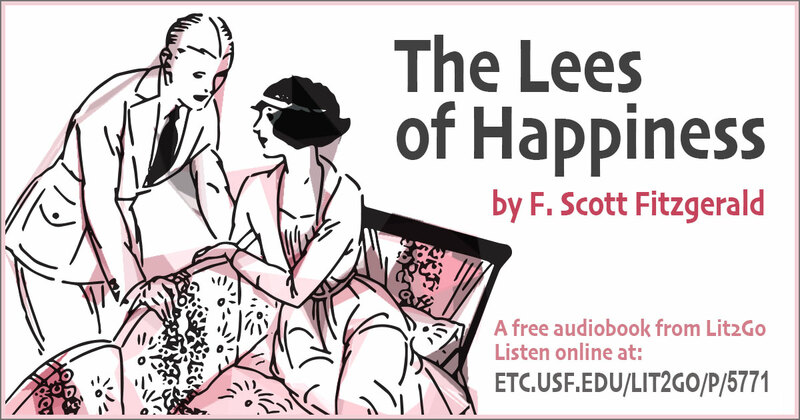 The Lees of Happiness from the Lit2Go audiobook collection. This is a short story about the growing love of husband and wife, Jeffrey and Roxanne. When Jeffrey has a stroke, a close family friend frequently visits and helps the couple through the difficult time. Reading level: 12.0. Word count: 8,443. 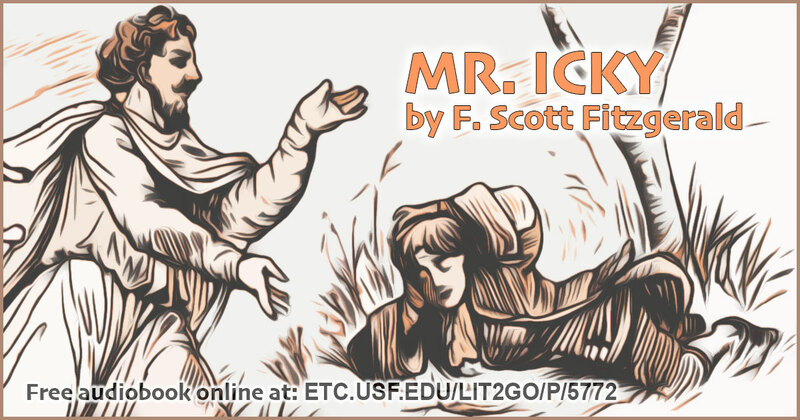 Mr. Icky from the Lit2Go audiobook collection. 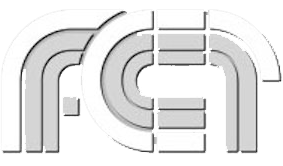 This is a short story describing a strange conversation between Mr. Icky, an older man dressed in a costume, and a young boy named Peter. Duration: 14 minutes. Reading level: 12.0. Word count: 2,316. 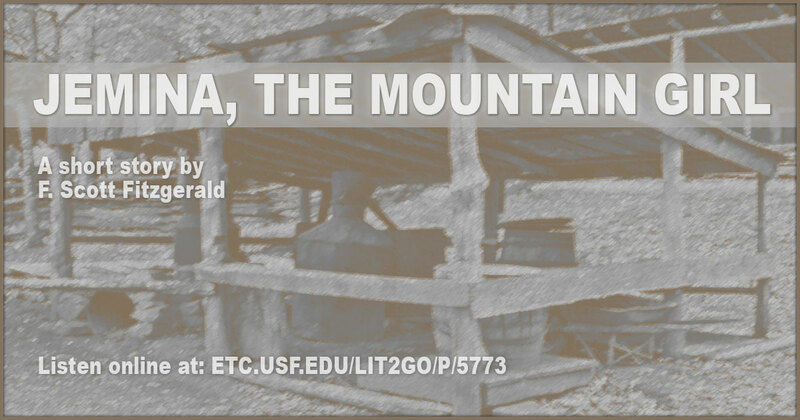 Jemina, the Mountain Girl from the Lit2Go audiobook collection. This is a short story describing the relationship between Jemina Tantrum, an uneducated girl from the mountains, and an unknown man from the settlements. Duration: 9 minutes, 33 seconds. Reading level: 12.0. Word count: 1,676. 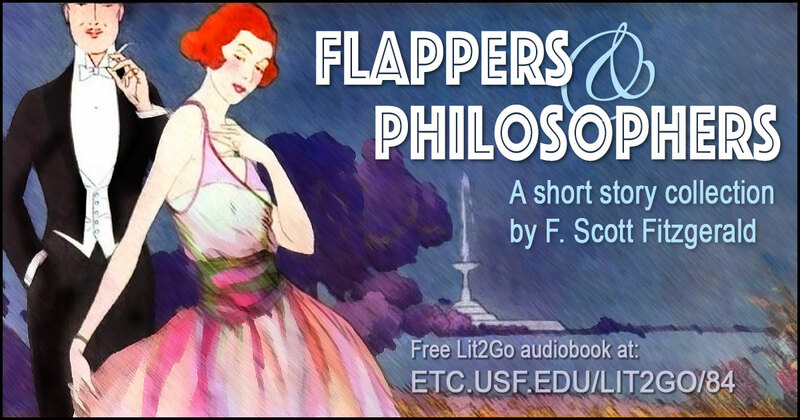 Flappers and Philosophers from the Lit2Go audiobook collection. Flappers and Philosophers was the first collection of short stories written by F. Scott Fitzgerald. Reading level: 6.8. Word count: 62,461. 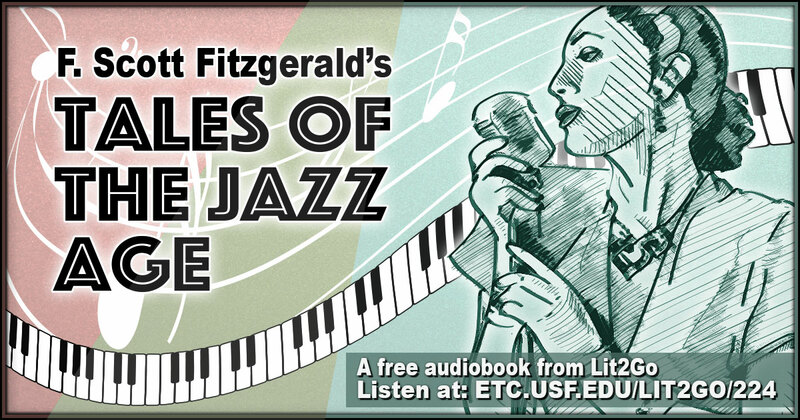 Tales of the Jazz Age from the Lit2Go audiobook collection. 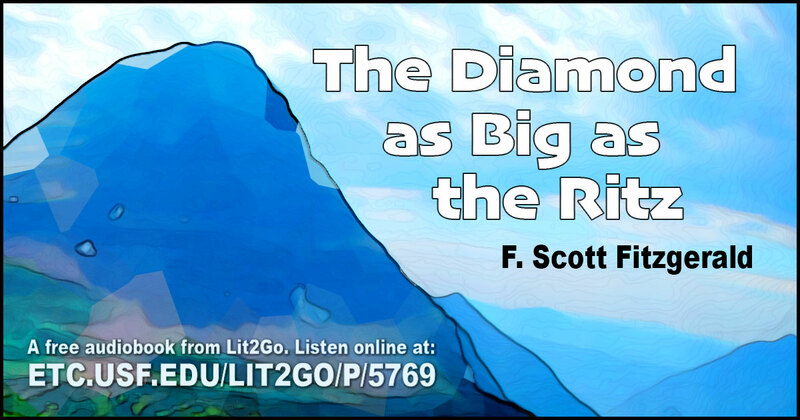 The short stories collected here include the novelette May Day and the novella The Diamond as Big as the Ritz. The book is divided into three parts: My Last Flappers (The Jelly-Bean, The Camel’s Back, May Day, and Porcelain and Pink), Fantasies (The Diamond as Big as the Ritz and The Curious Case of Benjamin Button, and Unclassified Masterpieces (The Lees of Happiness, Mr. Icky, and Jemina the Mountain Girl). Reading level: 12.0. Word count: 81,167.